IIT Hyderabad will start a BTech programme in AI from August this year, while IIT Kharagpur’s AI centre is set to start a 6-month certificate programme in AI for professionals and final year students from next month. The Indian Institutes of Technology (IITs) are making all efforts to bridge the talent gap in emerging technologies, especially artificial intelligence (AI). With an aim to create a talent pool and meet the industry demand, the country’s premium engineering schools are launching certificate, bachelor’s and master’s courses and incubating centres for AI-based startups. IIT Hyderabad has announced that it will start a BTech programme in AI from August this year. Mention may be made that the institute already offers MTech programmes in data science, AI and machine learning, and a minor programme for undergraduate students in AI and humanity. “Almost every technology company from any sector, say IT or petroleum, wants candidates with strong training in AI and ML (machine learning),” Sumohana Channappayya, dean at IIT Hyderabad, told ET. Last year, IIT Kharagpur launched an AI centre and it is set to start a six-month certificate programme in AI for professionals and final year students from next month. 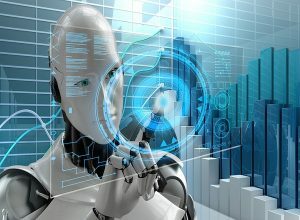 The institute is also planning to launch more courses on AI in the coming semesters to cater to the student demand for such courses, as told to the daily by Sudeshna Sarkar, head, Centre for Artificial Intelligence, at IIT Kharagpur. The AI centre also plans to launch a certificate course on ‘advanced machine learning’ later this year, he added. IIT Madras is not behind when it comes to tech trends. The institute launched dual degree specialisations in data sciences and robotics last year. “This is a five-year programme in which the students earn a bachelor’s degree in any engineering discipline and a master’s in data science,” Balaraman Ravindran, faculty in the computer science and engineering department at IIT Madras, told ET. The institute is also offering a similar dual degree programme in robotics, where the students earn a master’s in robotics.